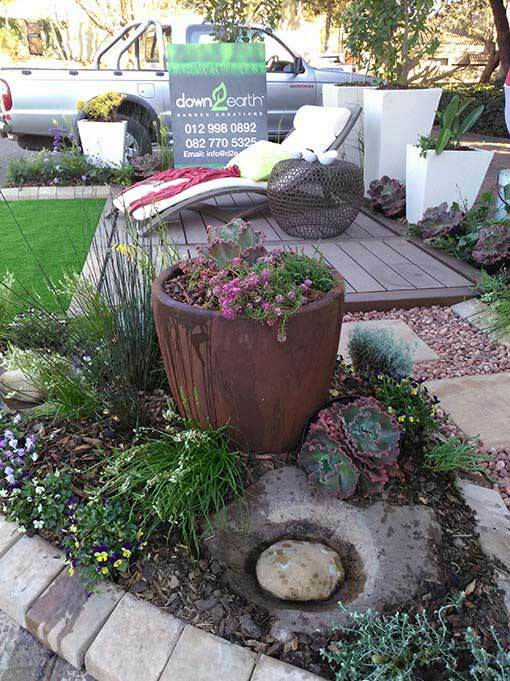 Down2earth Garden Creations is an award-winning landscape company situated in Gauteng that optimises your garden for that ultimate al fresco living experience. 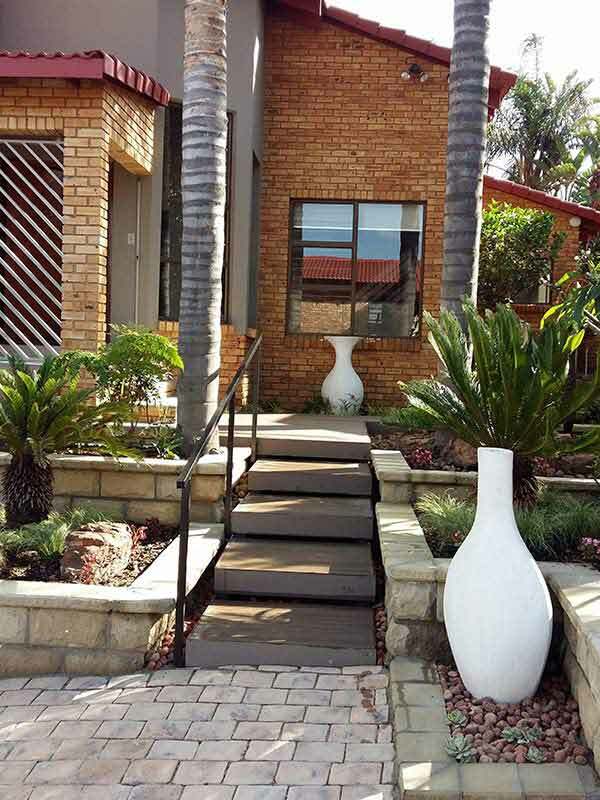 As professional landscapers we stay up to date with the latest international landscaping ideas and garden trends and can tailor make to any landscape design to suit our client’s individual tastes and services they may require. The dream of the client and our expert advice come together to create a unique landscape design. If necessary (e.g. installing good drainage in a very wet area, or building terraces with retaining walls in a sloped garden). Ponds, pathways, retaining walls, cladding, tiling, edging, trellises, arches, pergolas, gates and more. No building project is too big or too small! So your garden can be watered effortlessly. We use organic fertilizer and feed free compost which helps condition your plants to thrive. We supply and plant all the trees, shrubs, perennials, annual colour and lawns as per your garden plan. Incorporating herbs, fruit trees and vegetables. Anything you want to grow! Replacing colourful annual plants that have finished flowering with fresh seedlings for the new season and pruning shrubs, trees, lollipop trees, clipped hedges and roses. The saying “Home is where your hearth is…” it very true and a lush outdoor space is an extension of your home. 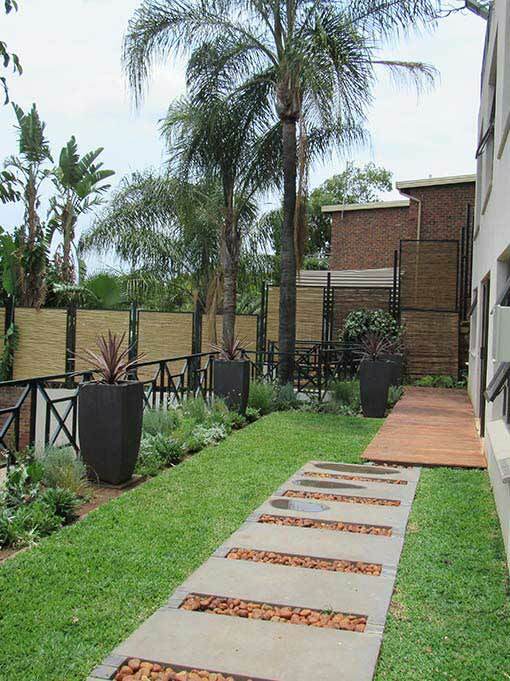 Down2earth Garden Creations softens the barriers between the interior and the outdoors with their attractive and well planned gardens. Our garden design both reflects the beautiful architectural style of the house and that of the surrounding area and will transform your dwelling into a real cosy home. 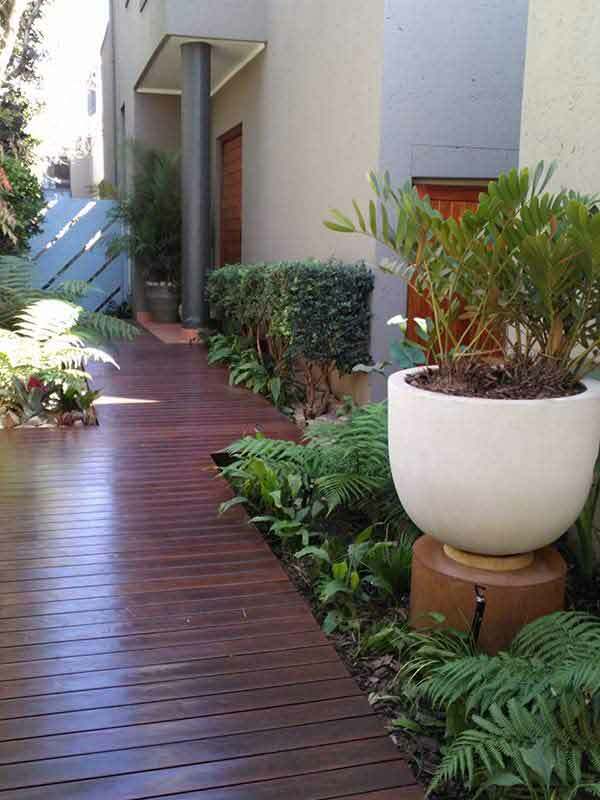 Whether you are in need of a brand-new garden, a make-over of an existing garden or need to spruce your beloved garden for a special occasion. 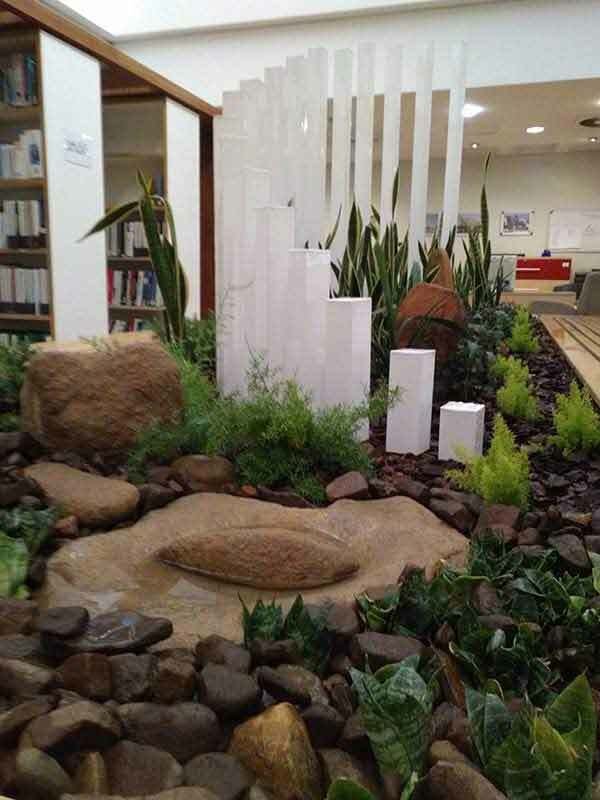 Our team is a perfect mix of artistic landscape designers and skilled craftsmen who know exactly how to plan and realise your dream garden, tailor-made to suit the needs of both you and your family. allow our gifted landscaping team to extend your living space to include gorgeous outdoor living rooms today! 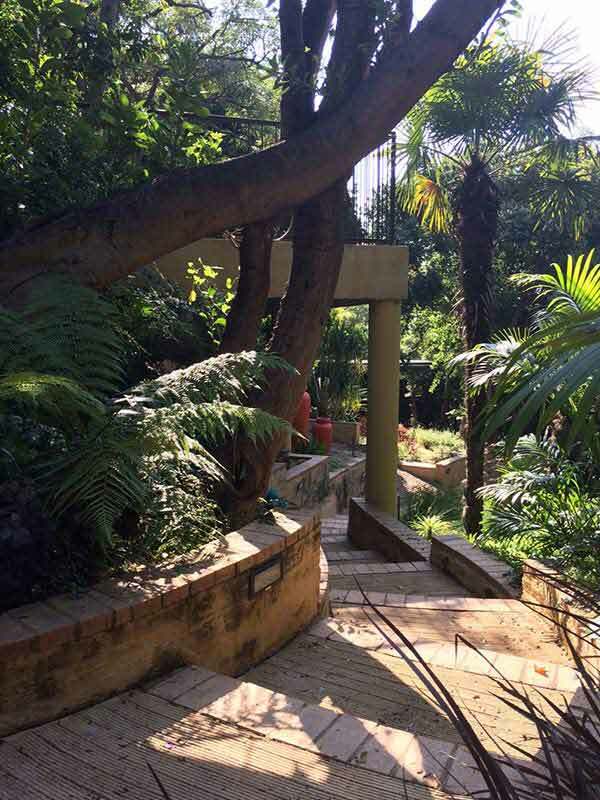 He is passionate about creating unique and tailor-made gardens, and he does so with imaginative flair. Nature is the greatest gardening master and Cobus loves spending time in nature and draws inspiration through exploring and learning natural growing cycles, color and texture arrangements and even water preserving techniques. This knowledge is mimicked in his unique and fresh garden designs. We are passionate about the environment and people. Therefore we are responsible landscapers and use organic gardening methods. We use organic compost and fertilizers, and we teach our team – and our clients and their gardeners – organic gardening principles. we want to leave a better planet for our children. That is why we are constantly greening spaces, planting trees and shrubs to purify the air, and inspiring people to plant and cultivate more to improve their quality of life. This is a company in the business of growing – we firmly believe in equipping our own staff members with the knowledge to start vegetable gardens in their townships. We donate seeds to our workers to plant a family vegetable garden, and there is an annual competition amongst the staff members to see who has the best flower as well as vegetables garden at home. We also encourage our workers to get involved in their local school vegetable gardens, and help them to get sponsored seeds and organic material for this purpose. We believe that food gardening is vital for the future of our country, and that children learn valuable lessons in the garden, like patience, sharing and caring.